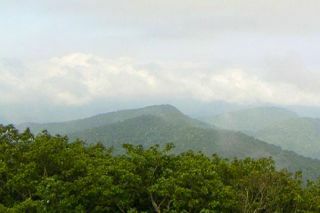 Active adults and retirees can appreciate the beautiful hills and mountains of Northern Georgia. Active adult communities within Northern Georgia are surrounded by the North Georgia mountains and offer beautiful scenic views. Northern GA also shares a rich history and culture due to some of the American Civil War battles taking place in the area. Adults 55+ will love to retire in Northern Georgia age-restricted communities because of its scenic nature views and quiet communities. Some of the cities in the Northern GA area include Atlanta, Rome, Helen, Clayton, Blairsville, Tallulah Falls, Blue Ridge, Gainesville, Athens, and Ringgold. Retirees and 55+ adults will find many active adult communities around Northern Georgia because of the great warm climate, highly ranked hospitals, and a decent cost of living. Active adults will love 55+ communities like Del Webb Lake Oconee, Cresswind at Lake Lanier, Sun City Peachtree, and Village at Deaton Creek. 55+ communities in Northern Georgia experience a humid subtropical climate. Summers are typically warm to mild during the day and comfortably cool at night. Winters are cold with occasional snow due to the higher elevations and mountains. March through May temperatures average around 40 to 60 degrees and June through August temperatures are around the 70 to 90 degrees with some humidity. Temperatures from September through November are around 30s to 60s and December through February has temperatures below 50 degrees with some temperatures falling below freezing overnight. Northern Georgia is made up of the Georgia Mountains Region that spreads west. The Blue Ridge Mountains in this mountain chain is also part of the Appalachian Mountains. The Blue Ridge Mountains are some of the oldest mountains in the United States. The majority of the North Georgia Mountains are included in the 750,000 acres of the Chattahoochee National Forest. Brasstown Bald is the highest mountain in Northern Georgia at 4,784 feet above sea level. Northern Georgia active adult communities are near great outdoor recreation destinations that can appeal to the adventurous active lifestyle. Retirees and adults 55 and better can hike the Appalachian Trail, explore the Etowah Indian Mounds, and view the beauty of flowers and plants at the Atlanta Botanical Gardens. They can also visit the scenic lakes of Lake Lanier and witness all of its natural beauty. There is also the Appalachian National Scenic Trail and the Chattahoochee River National Recreation Area near the Atlanta area. Both destinations offer great hiking, camping, and fishing for active adults who love the outdoors. Those seeking more history and culture can explore the Historic High Country region such as Blue Ridge for small town charm, wineries, riding stables, leisurely strolls through parks, and water activities near scenic lakes. There are also museums, art galleries, plenty of restaurant options, and other attractions nearby. The cost of living in Northern Georgia age-restricted communities is about on the same level as the national average. The state sales tax on goods is four percent. There is no sales tax on prescription drugs, approved medical devices, and food items for home use. If you are considering purchasing a home in a 55+ community in Northern Georgia, pricing will vary depending if your home has mountain views or lake views. Emory Hospital in Atlanta is one of the top hospitals in the country and specializes in cardiac care, neurosciences and diagnostic radiology. Gainesville has the Northeast Georgia Health System, which is known as one of the top healthcare centers in the area. Active adults and retirees in age-restricted communities are never too far from great medical facilities in the Northern Georgia area.